This entry was posted on August 30, 2018 by Don Roberto. When getting married, there is a lot of focus on the engagement ring for the women. The wedding band for the bride and groom are often secondary considerations. The bride generally chooses a wedding band that complements the engagement ring. But, what about the groom’s wedding band? How much should the groom spend? Does the ring have to match the brides? What are the different types of metals that are best for men’s wedding bands? These are the most frequently asked questions we get about men’s wedding rings, and here are some of our answers. Does the groom’s wedding band need to match the brides? It used to be more common that wedding bands matched. However, many modern couples are choosing to take the non-traditional route by choosing different wedding bands. Non-matching wedding bands allow both people to express their individuality and own unique styles. It allows both people to choose wedding bands that they love rather than settling for one that doesn't fit your personality. If you would prefer to have a matching wedding band set, a great option can be a wedding trio set, which is designed from the start as a matching set. How much should a couple spend on a wedding band? A man’s wedding band will typically cost anywhere from $400 (Gold) to $2,000 (Gold with Diamonds). It seems that the average price for a groom’s wedding band is about $699. Who pays for the groom’s wedding band? This one is really up to personal preference. Generally a couple shops for wedding bands together. This means that often they will pay for them together, or even buy each other's wedding band as a gift. How to deal with the cost of the wedding bands is really up to each couple to decide. What are the best metals for men’s wedding bands? 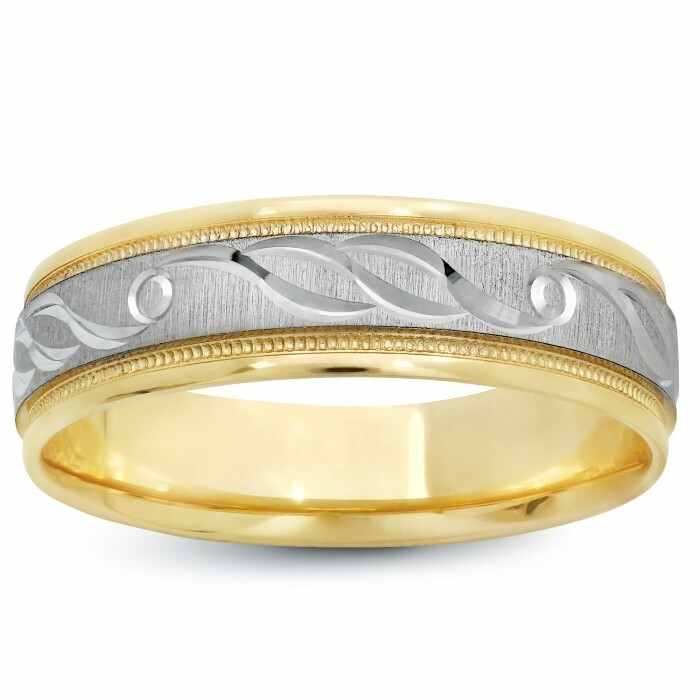 The two most common metals chosen for men’s wedding bands are white gold and yellow gold. Keep in mind that different metals and stones can have different meanings and cultural values, so these can also be worth considering as a part of the purchasing process. These are some of the most common questions we get asked by both brides and grooms about choosing wedding bands. Do you have any questions we can answer? Make sure to reach out to us, and we will be glad to help. If you are shopping for men’s wedding rings, then Don Roberto can offer you some great options to choose from. We can help guide you through the process of selecting or creating your perfect wedding band. Contact us at [email protected] .